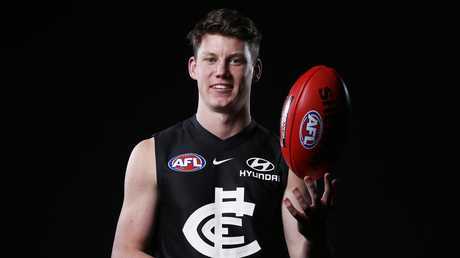 CARLTON went all-in on a 2019 resurgence by trading away its future first-round pick in a bombshell move to steal inside midfielder Liam Stocker away from Richmond. 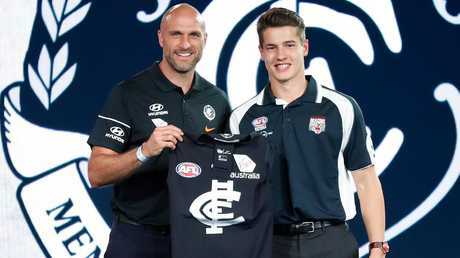 After crowning Sam Walsh the No.1 selection the Blues pulled the only real shock of the Thursday night's draft when they struck a bold trade with Adelaide to secure Stocker. Carlton list boss Stephen Silvagni said the Blues rated Stocker in the top 10. The Tigers were set to draft the Morrish Medallist at pick No. 20 until Carlton and Adelaide swapped future first-round picks and the Crows sent pick No. 19 (Stocker) to the Blues. The deal means if Carlton again claims the wooden spoon next year the No. 1 pick will belong to Adelaide. But Carlton list manager Steve Silvagni backed the club to explode up the ladder and vindicate the move. "We basically shuffled our first round pick. Each club has a first-round pick next year, we will see where that lands after the 2019 season,'' Silvagni said. "We think we have got a very good player through our door. He is highly competitive, although he hasn't played a lot of footy through the season and we add to our midfield depth. "We just really rated Liam. We certainly rated him highly and he was there to be got and we thought it was worthwhile to slide our first-round picks next year and both clubs have got a first-round pick. "What happens if we finish higher than them? We are backing our recruiting department in." The Tigers responded by drafting slider Riley Collier-Dawkins, a 193cm midfielder who was raised by two mums, at No. 20. 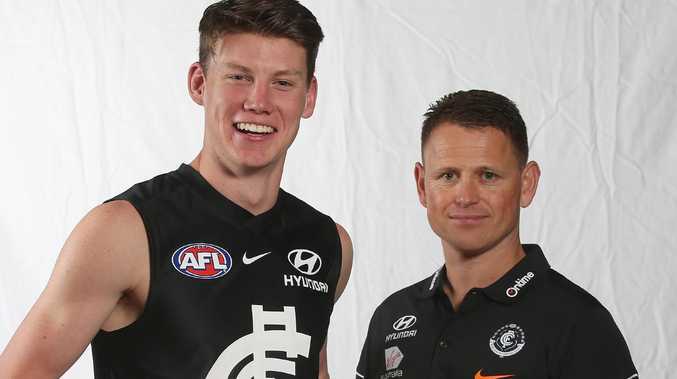 Walsh and Stocker will join Patrick Cripps, last year's No. 3 pick Paddy Dow and former Giants Will Setterfield and Matthew Kennedy in an engine the Blues hope can help deliver their 17th premiership. Every club was forced to wait five minutes to lodge their picks - even the Blues at No. 1 - as Thursday's night's drawn-out first round fell flat at Marvel Stadium. The first two live trades were fizzers as Sydney and West Coast swapped picks either side of the Swans securing Nick Blakey in a clever deal which both clubs profited from. Geelong's No. 15 selection Jordan Clark was recently diagnosed with glandular fever and faces a delayed start to pre-season. The 185cm defender - who has been likened to premiership captain Shannon Hurn - represented Australia in junior cricket and took a hat-trick against Pakistan before pursuing football. North Melbourne paid a high price for academy prospect Tarryn Thomas, matching Adelaide's No. 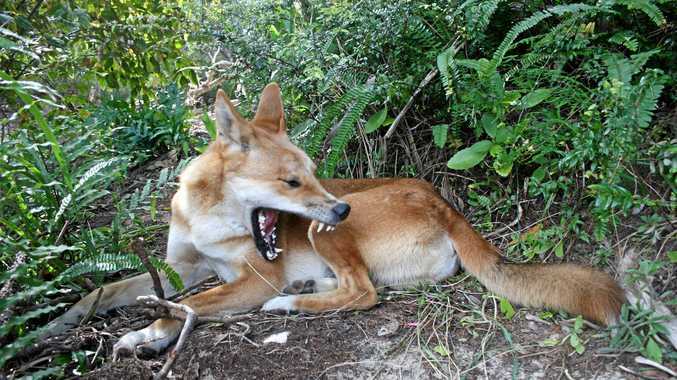 8 pick for the Tasmanian who has endured an indifferent season. St Kilda overlooked its need for midfield class by taking 204cm spearhead Max King at No. 4, who is on track to recover from a knee reconstruction by the start of next season. The Saints expect King to form an attacking one-two punch with 2014 No. 1 pick Paddy McCartin for the next decade. "It's (his size) coupled with athleticism," Saints list manager James Gallagher said. "He moves a lot more nimbly and his ability to pick up the ball below his knees while running at speed as well is pretty exceptional for a player at that size. "We haven't seen many of those before in the AFL." King was in the Saints' gym yesterday continuing his knee rehabilitation. Twin brother Ben King was drafted by Gold Coast at No. 6 despite his desperation to stay in Melbourne. Western Bulldogs secured the draft's second-best midfielder in Bailey Smith at pick No.7.